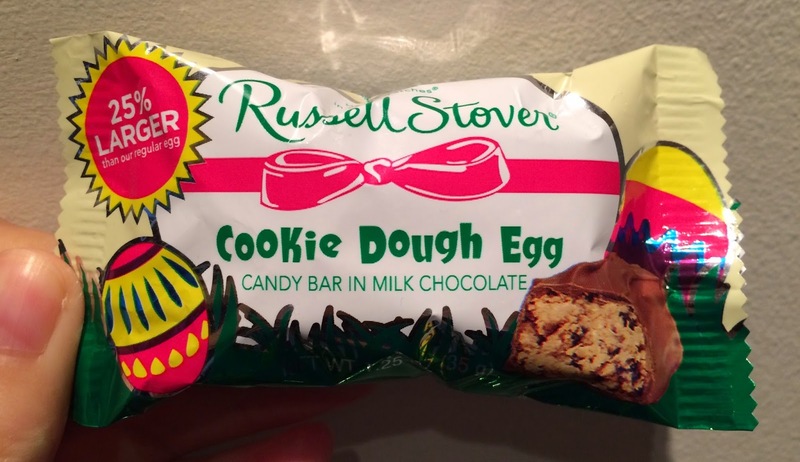 It's a Russell Stover Cookie Dough Egg. 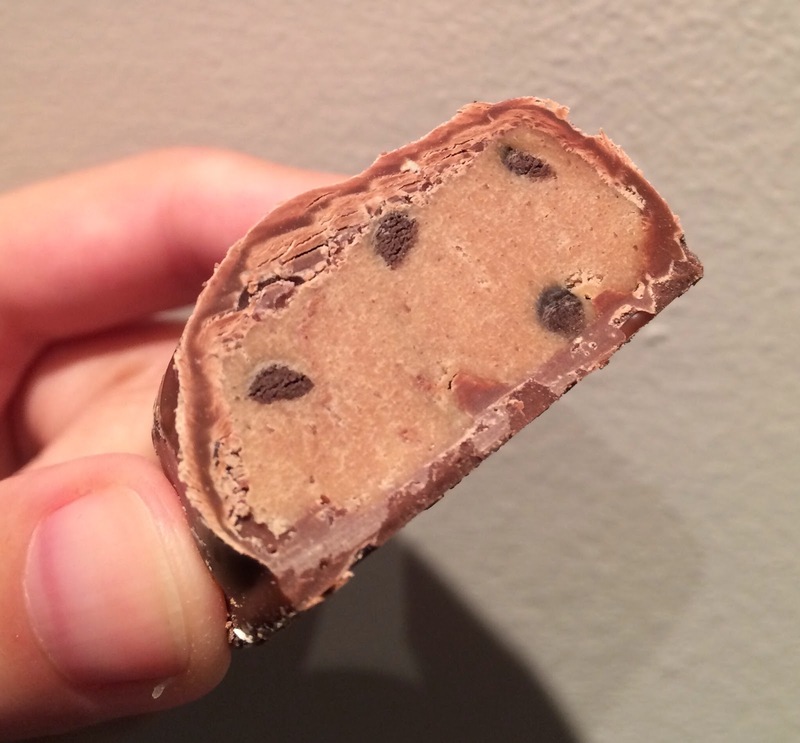 The cookie dough had chocolate chips and the dough was chewy, and it had sweet flavor like caramel. And I also tasted some saltiness. 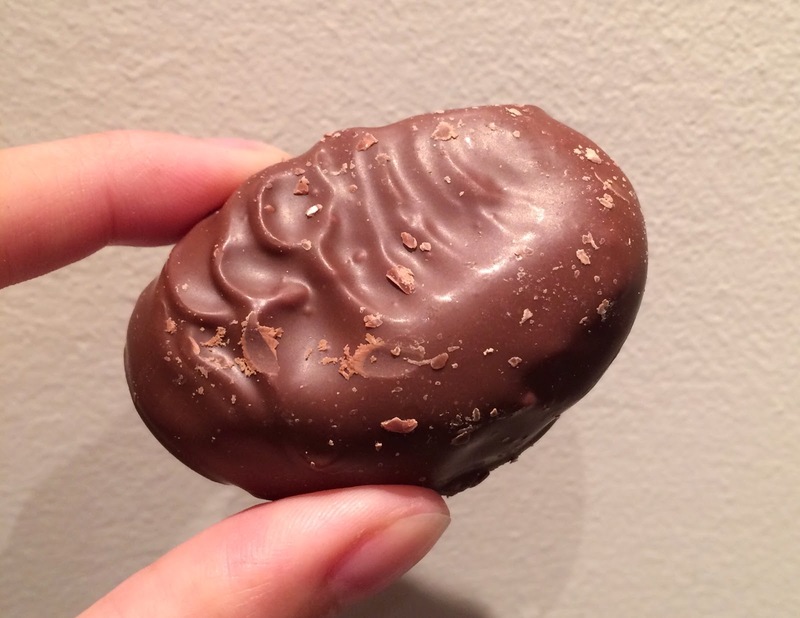 I smelled some peanuts, but I didn't any nuts in the cookie dough.